The Bajaj Pulsar 180F has started to arrive at the dealerships, and we have seen the Black/Red colour option on the previous occasions. 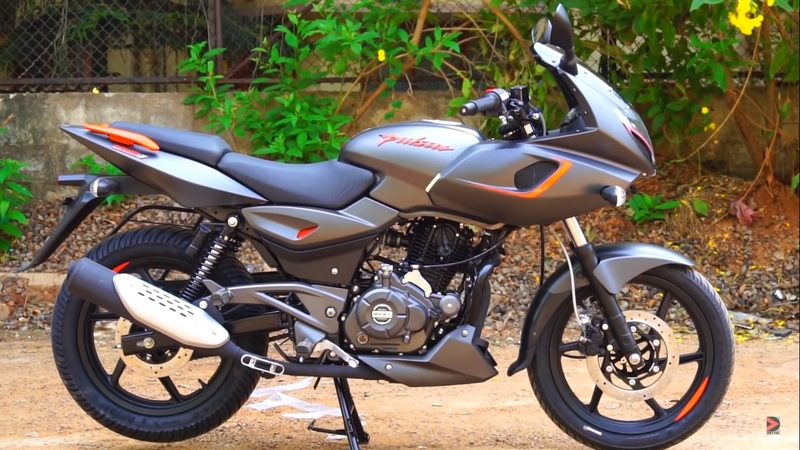 Recently, we stumbled upon a video that gives a detailed walkaround of the Pulsar 180F Neon Orange. The motorcycle gets a matte grey base paint with orange highlights on the fascia, fairing, Pulsar logo on the fuel tank, side panels, 180F badge on the rear panels and on the wheels. The matte finish with orange highlights give the motorcycle a refreshing look, and the colour combination should appeal to young buyers. People who prefer a relatively subtle paint job can go for the black/red colour option that is available for the motorcycle. The Bajaj Pulsar 180F is priced at INR 86,500 (ex-showroom) - a premium of INR 1,500 over the naked variant. In case you missed the previous reports, the Pulsar 180F comes with a semi-fairing design identical to the one on the Pulsar 220F. Elements that differentiate the models include the graphics and the exhaust. The front of the motorcycle features vertically stacked headlight with DRLs on the sides and fairing mounted rear view mirrors. Everything following the fascia is identical to the standard Pulsar 180. The cockpit continues to feature an analogue tachometer along with a digital display. The motorcycle retains the 15-litre tank capacity and design, but the new pad adds a refreshing touch to the package. Mechanical specifications have not been changed, and the Pulsar 180F continues to use the 178.6cc 2-valve, air-cooled DTS-i motor that churns out 17 bhp at 8,500 rpm and a peak torque of 14.22 Nm at 6,500 rpm. The engine is paired with a five-speed gearbox. The Bajaj Pulsar 180F has started to arrive at dealerships. The motorcycle, so far, has been spotted in Grey/Orange (pictured) and Black/Red colour options. Stopping power comes from a 260 mm disc at the front and a 230 mm disc at the back while the setup benefits from steel braided lines that are aimed to enhance the stopping prowess of the motorcycle. Surprisingly, the bike does not get ABS.